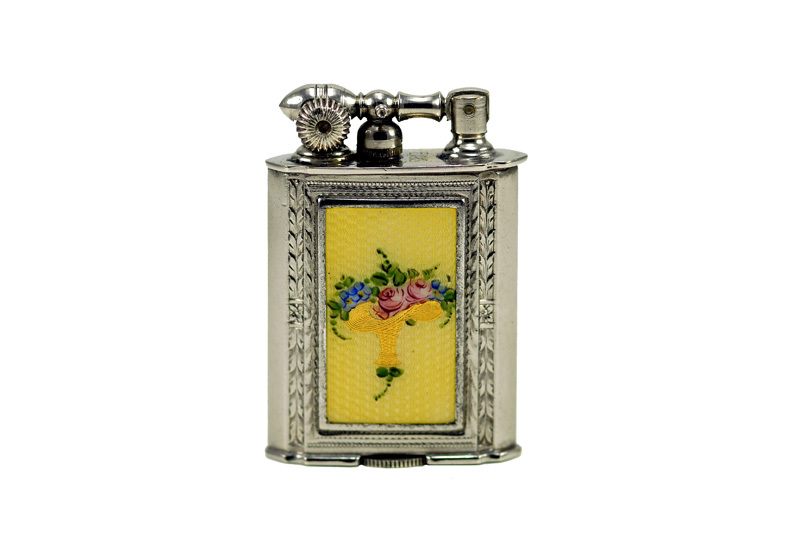 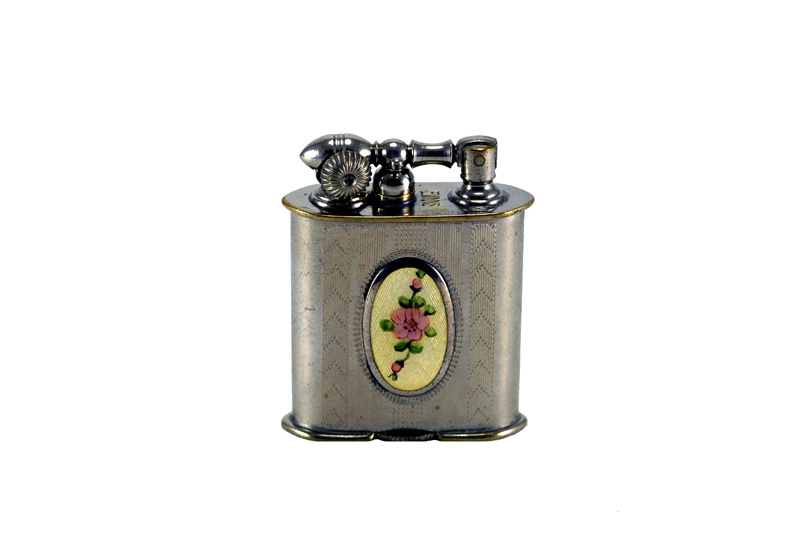 Evans cigarette lighters and lady's accessories were made by the Evans Case Company from 1922 until 1960. 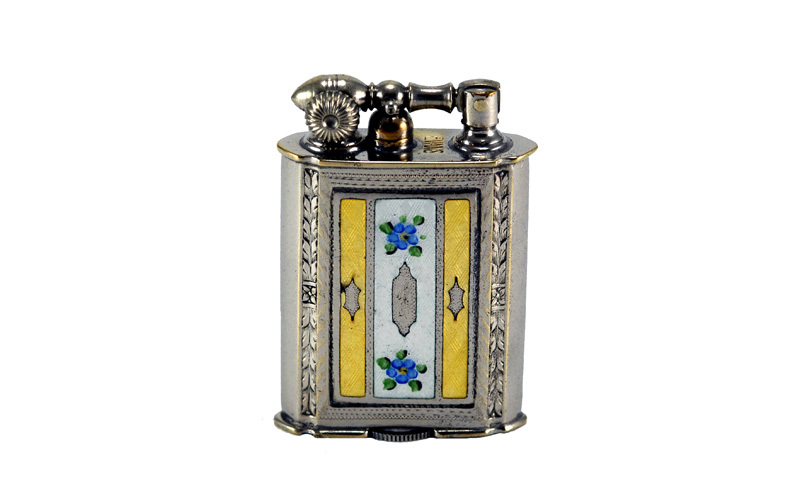 Cigarette lighter production began around 1928. 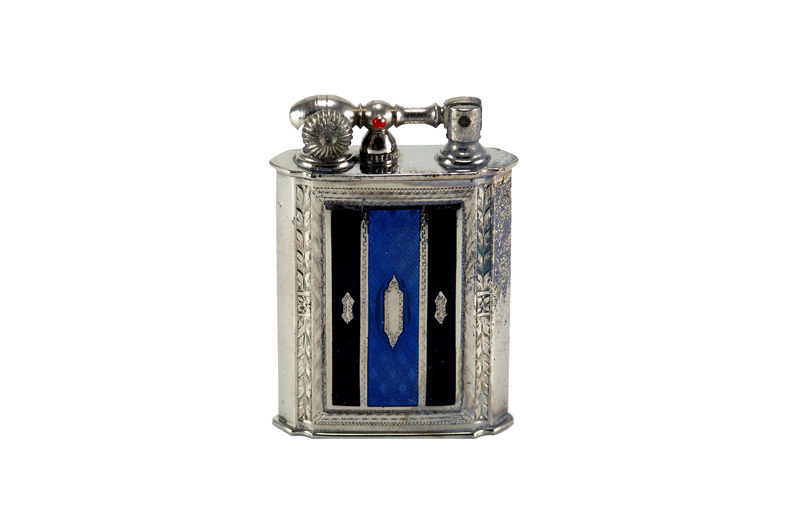 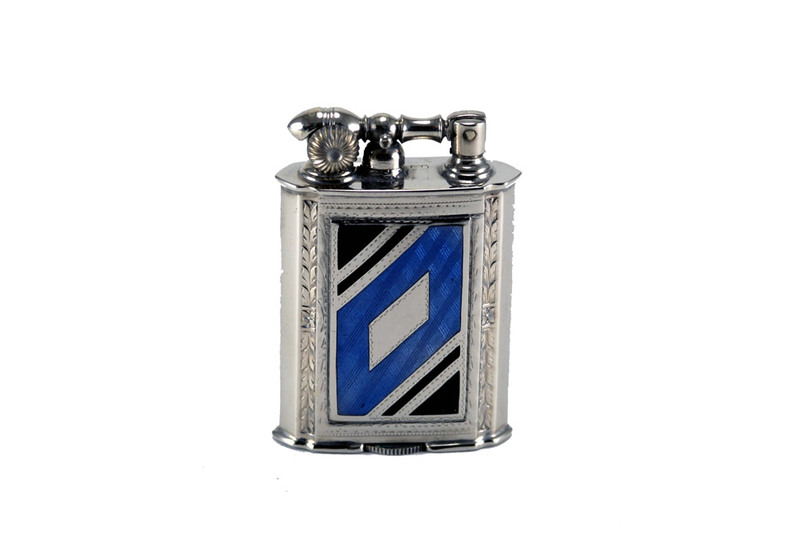 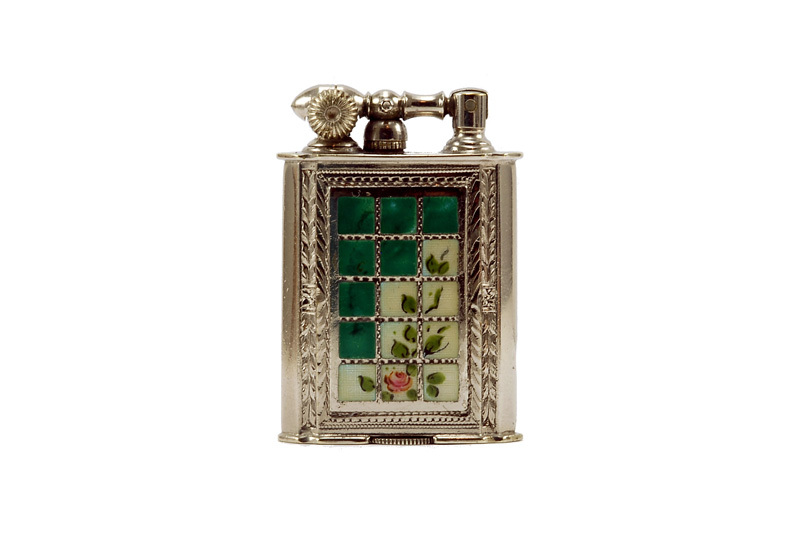 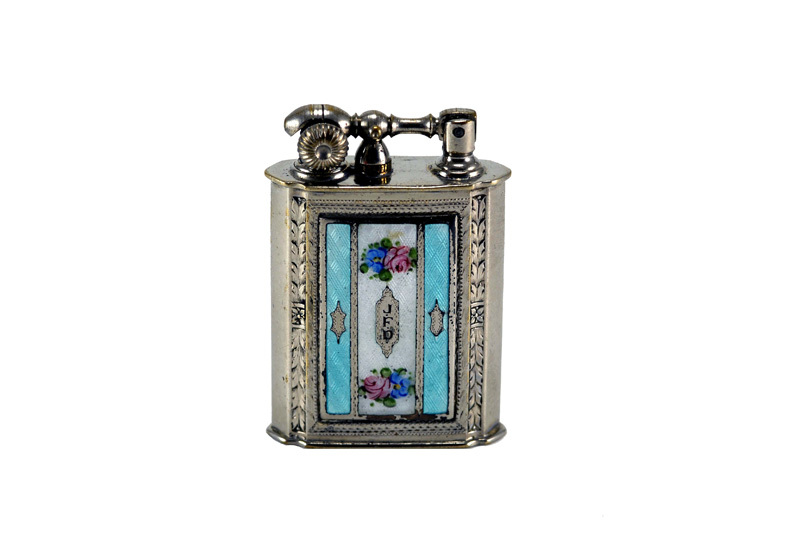 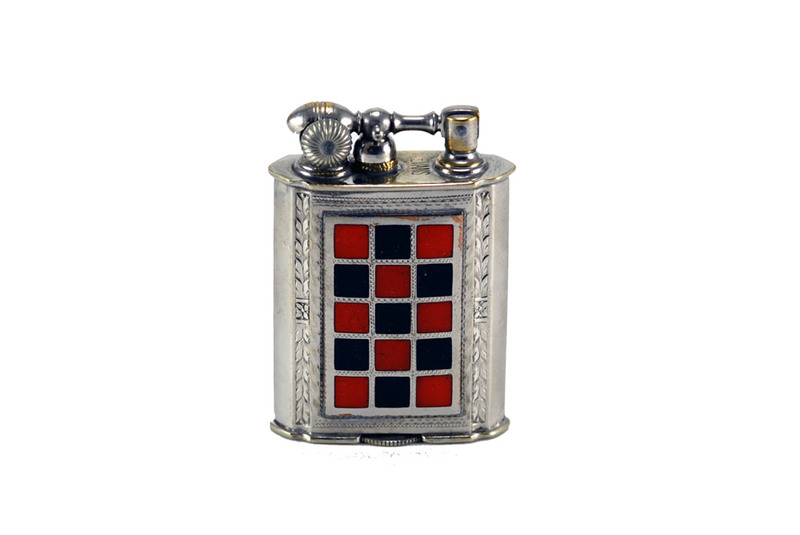 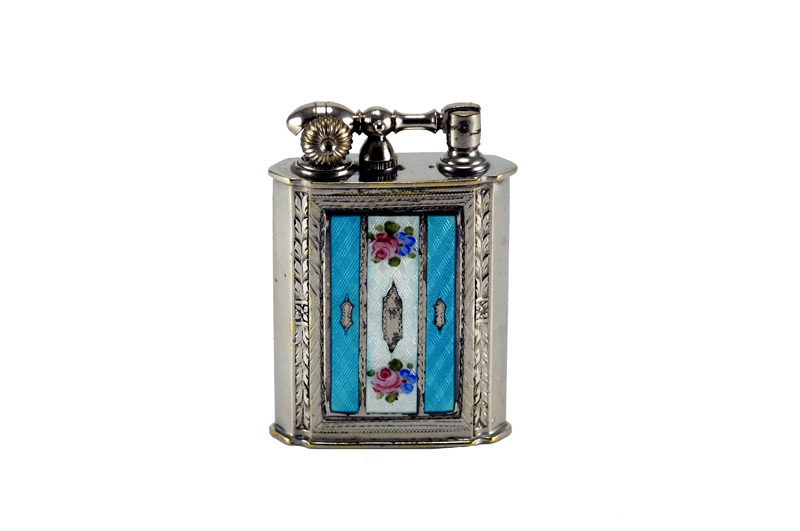 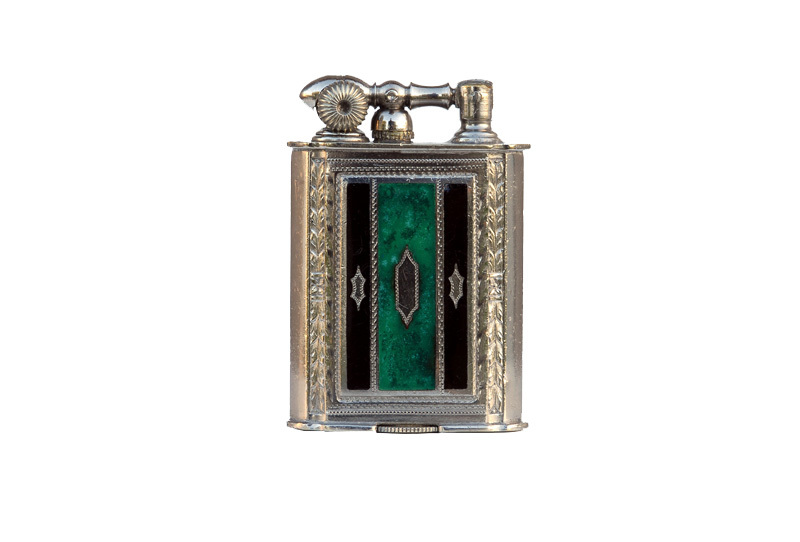 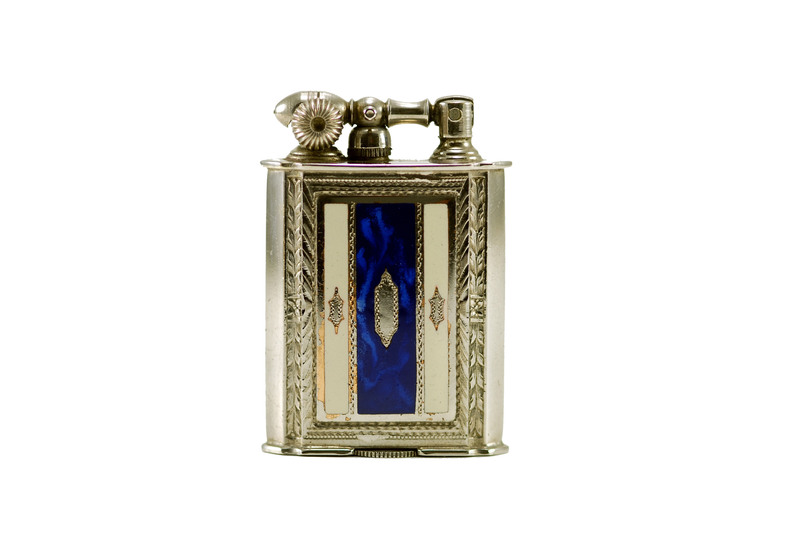 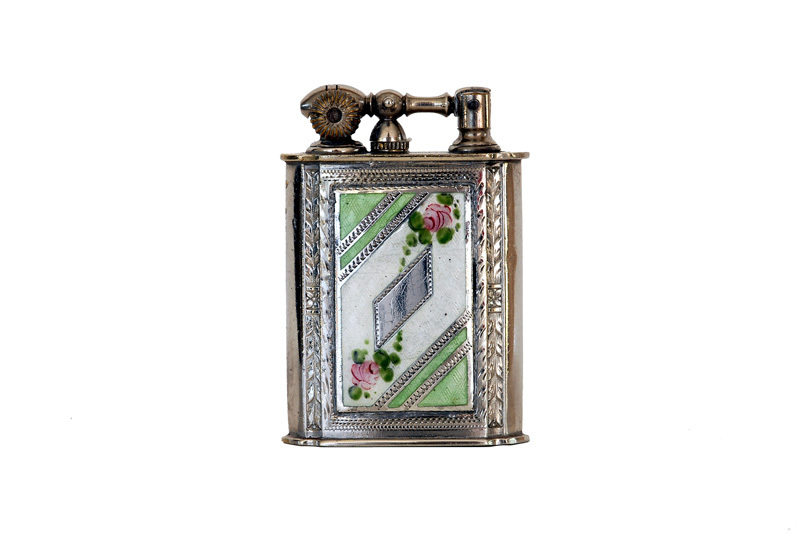 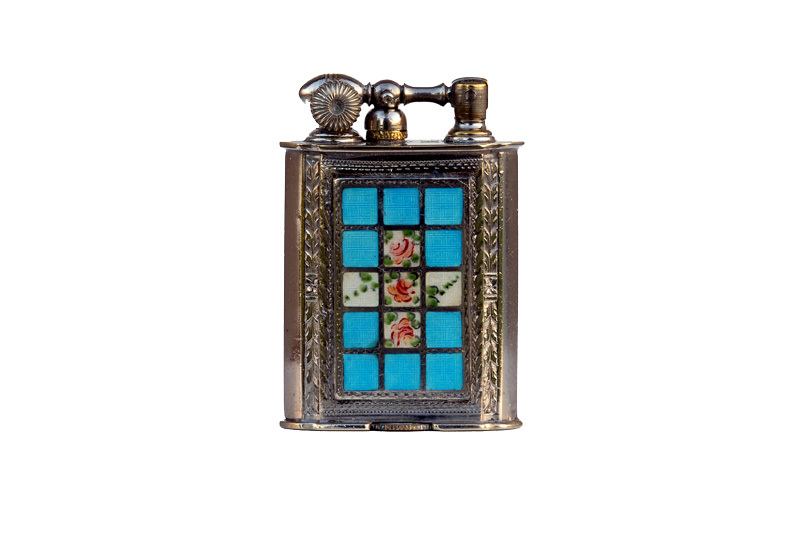 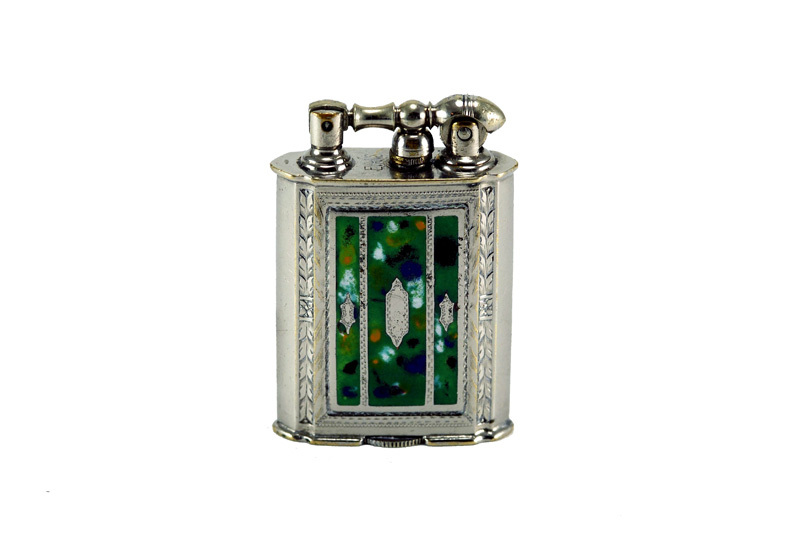 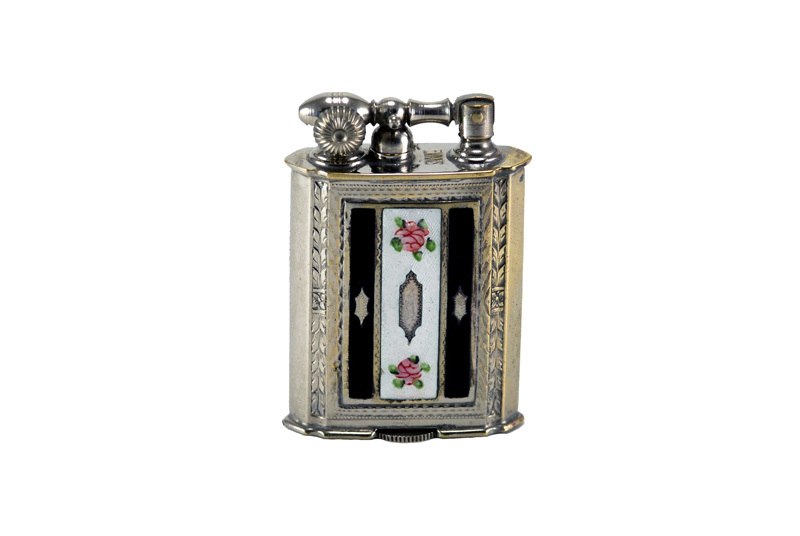 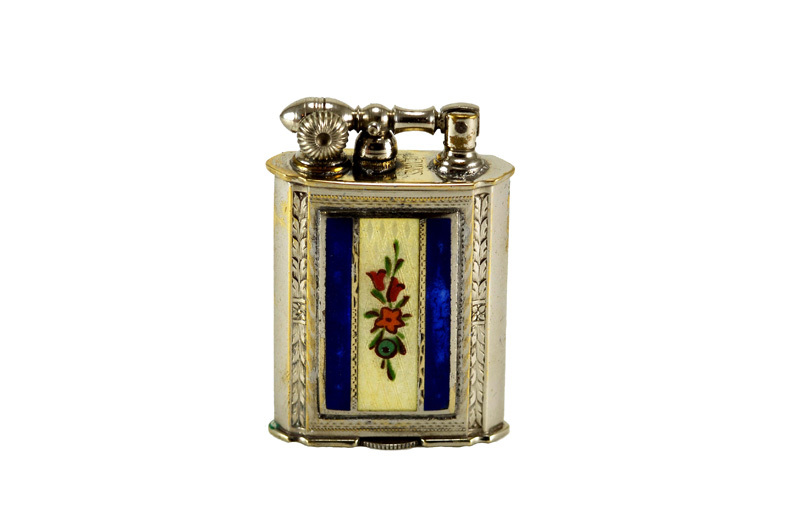 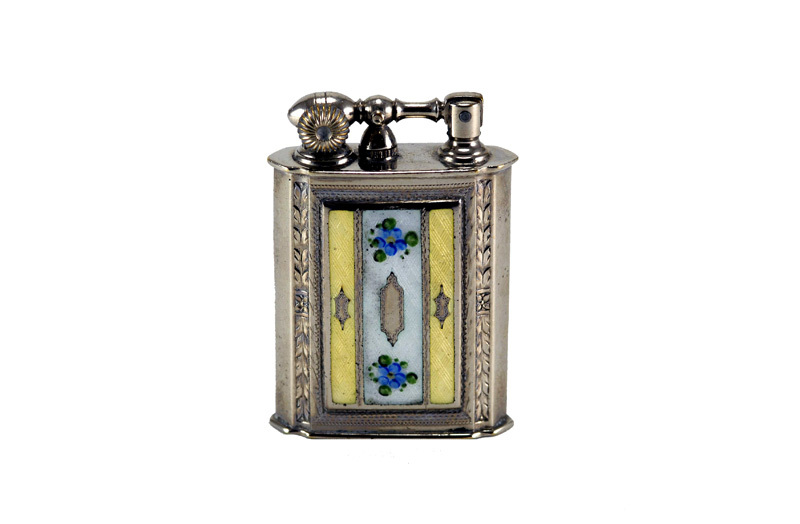 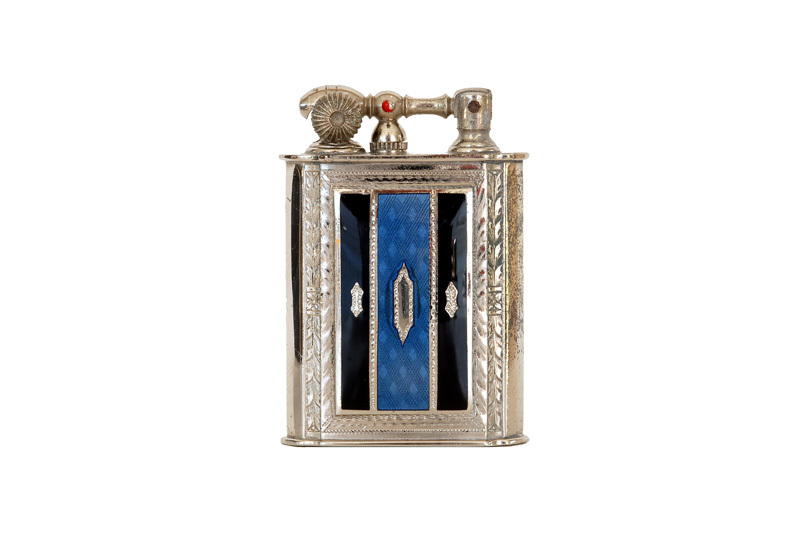 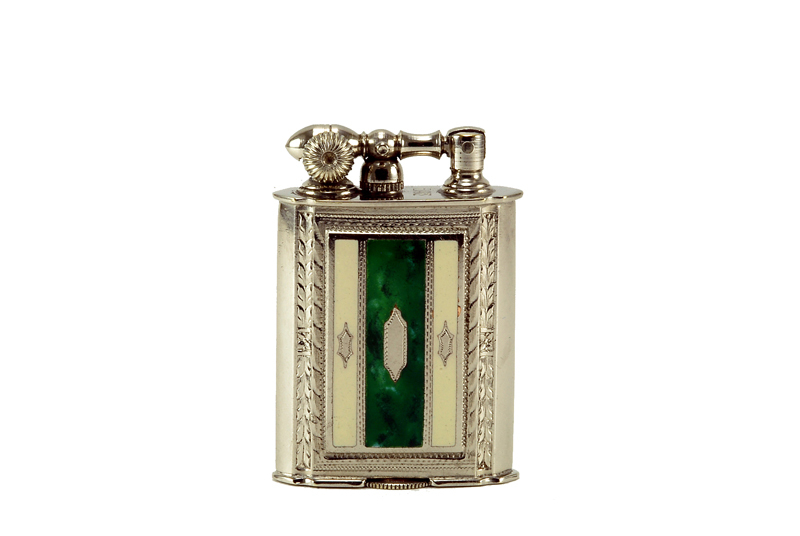 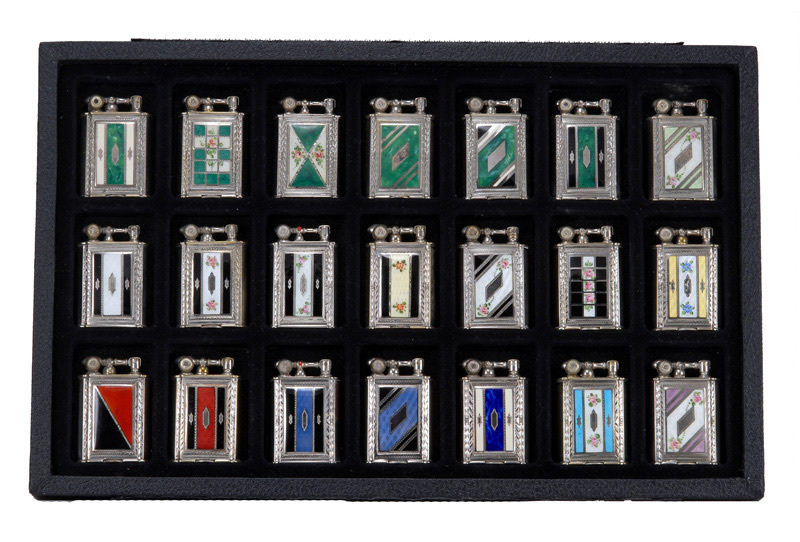 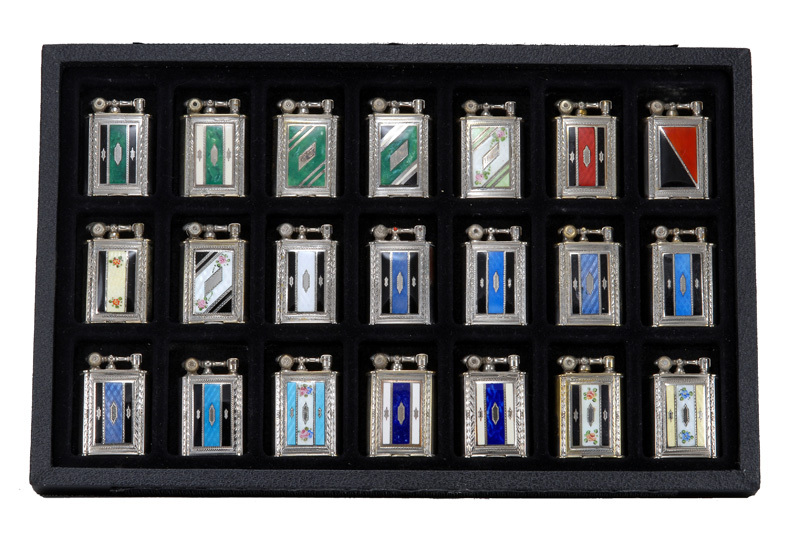 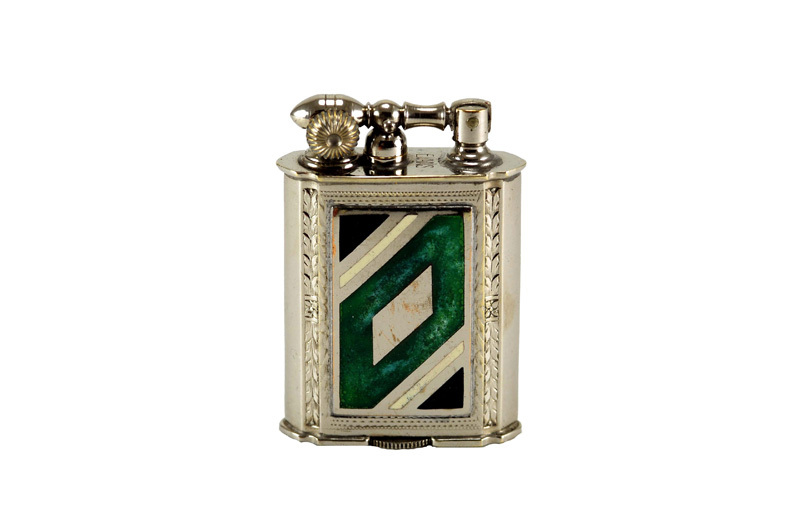 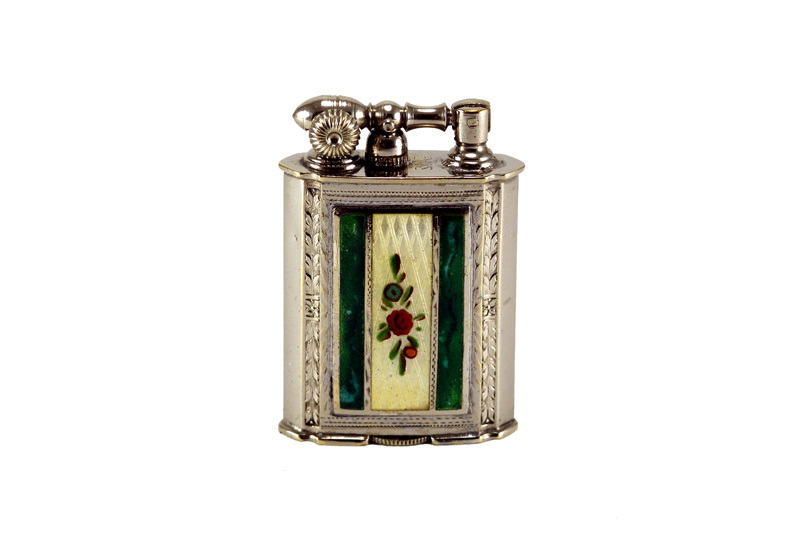 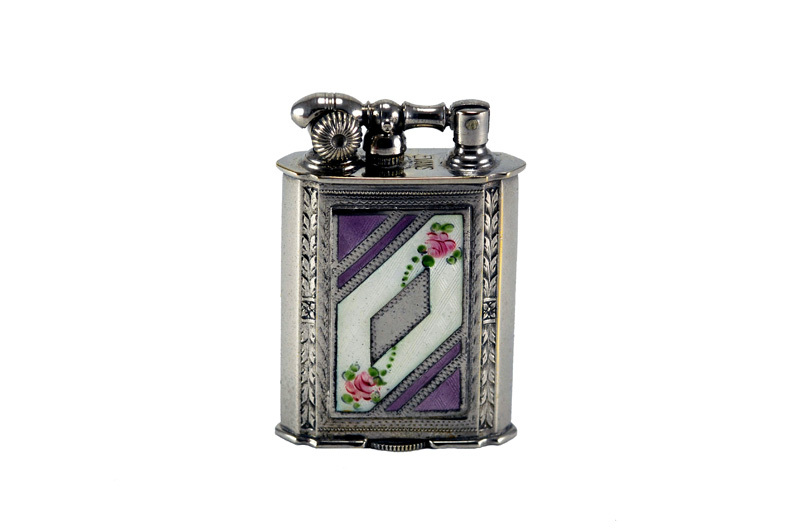 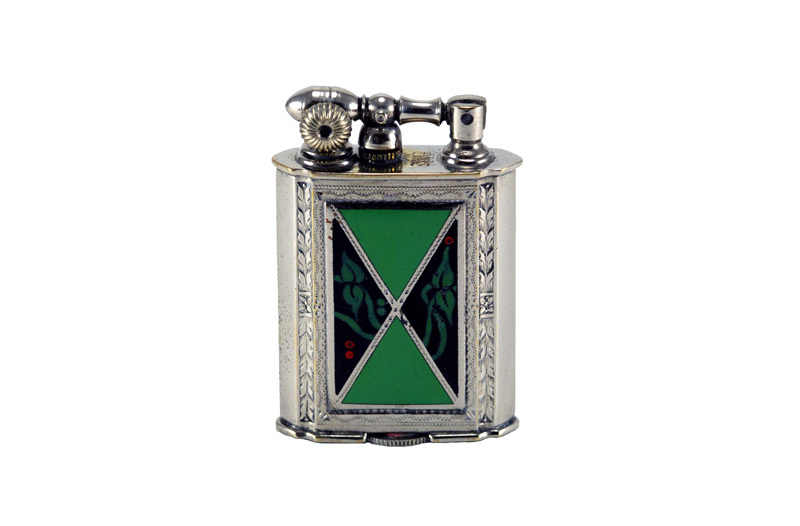 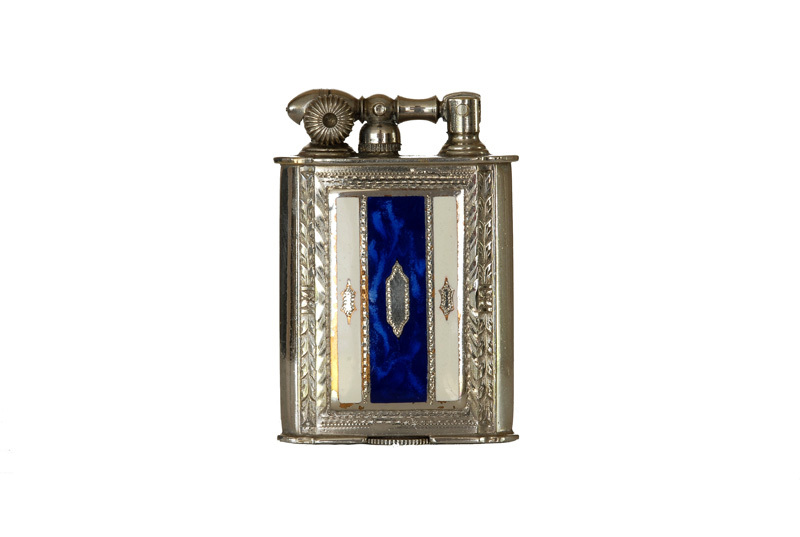 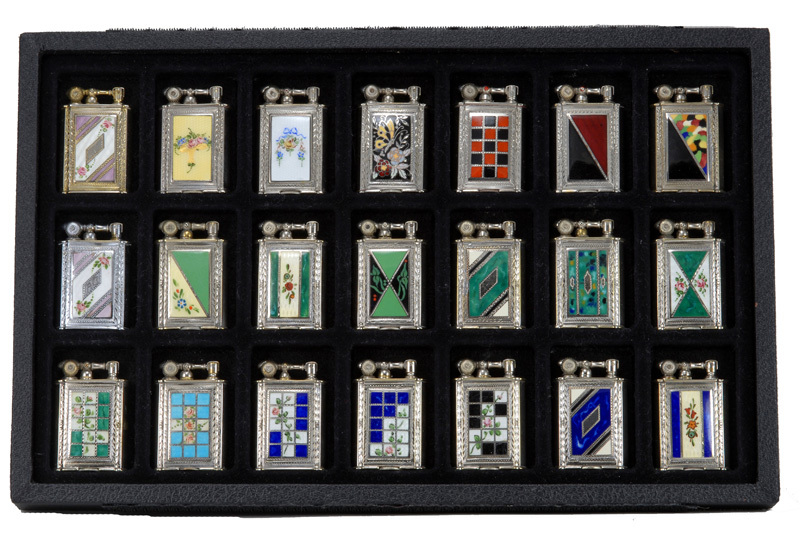 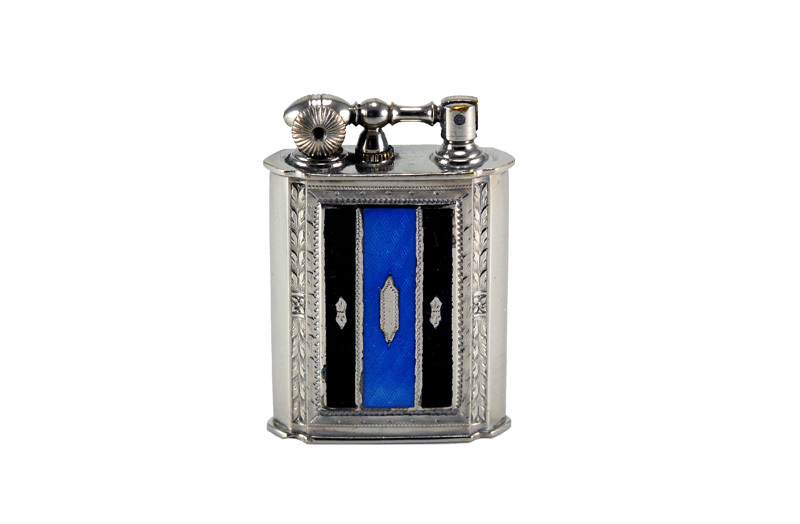 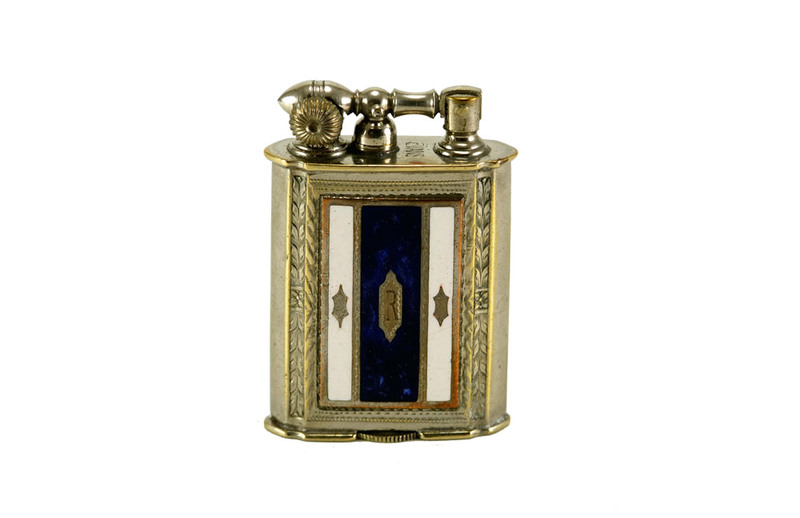 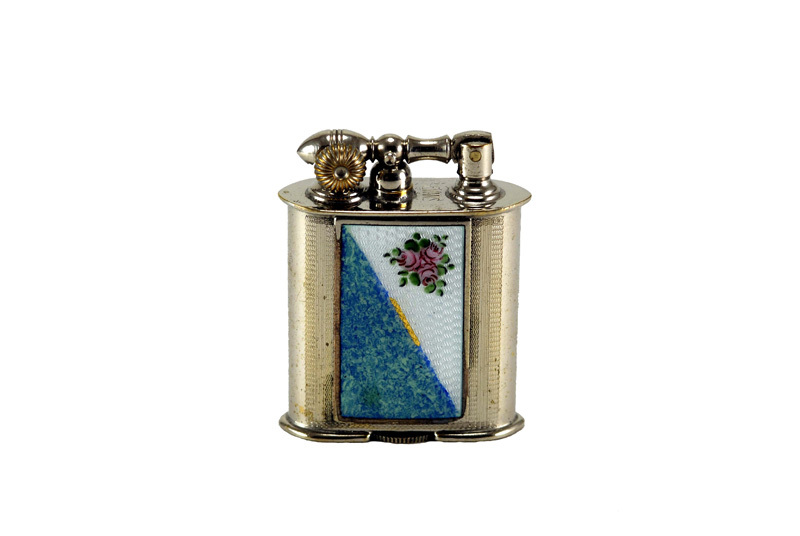 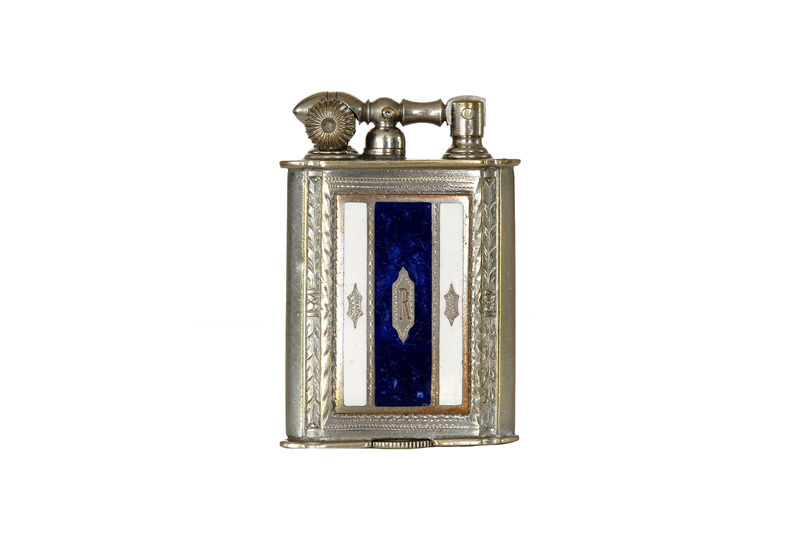 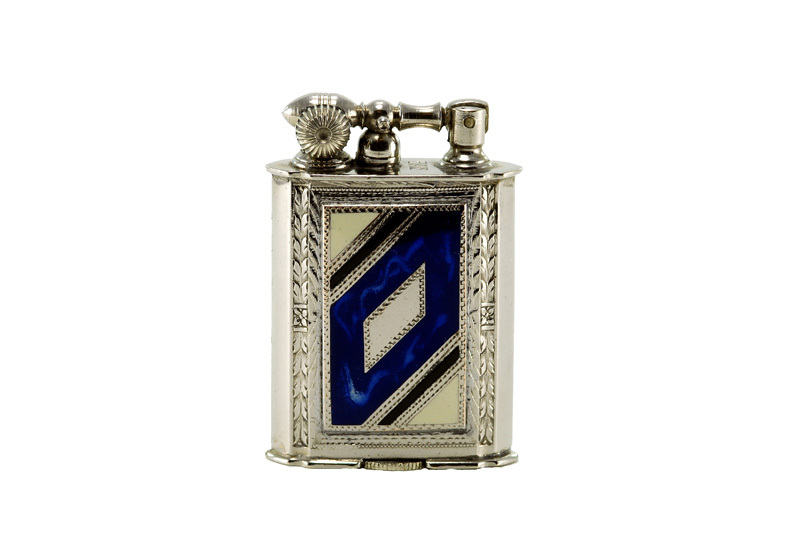 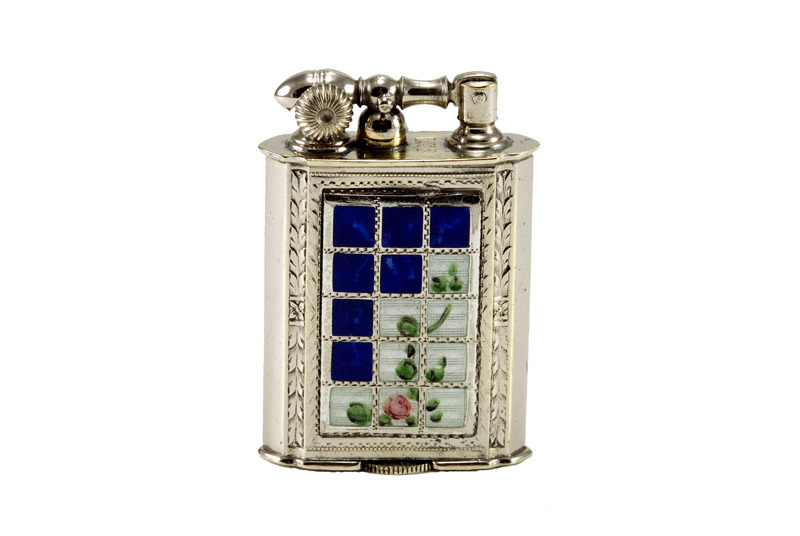 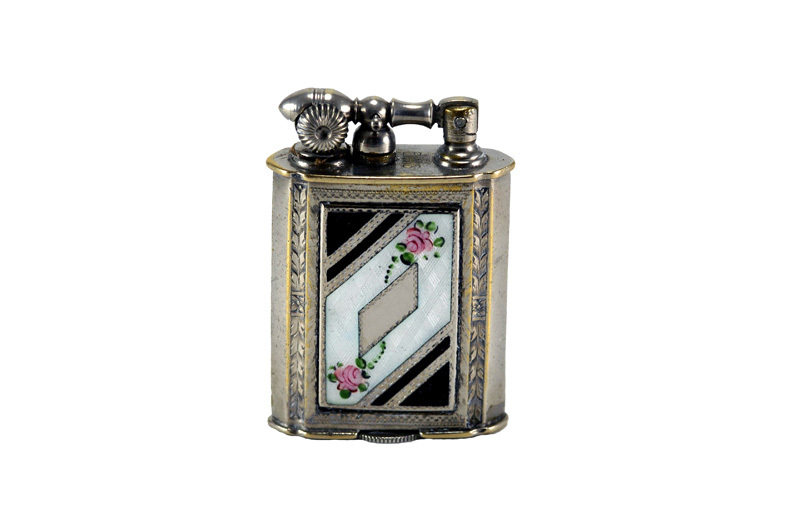 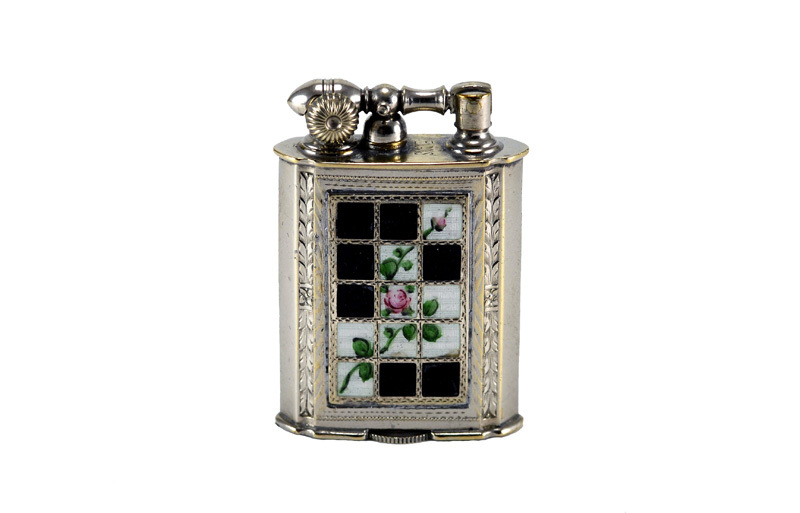 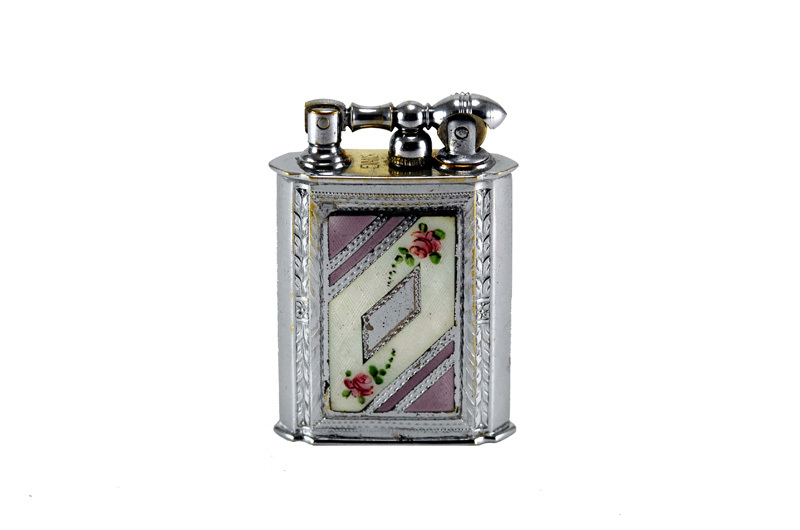 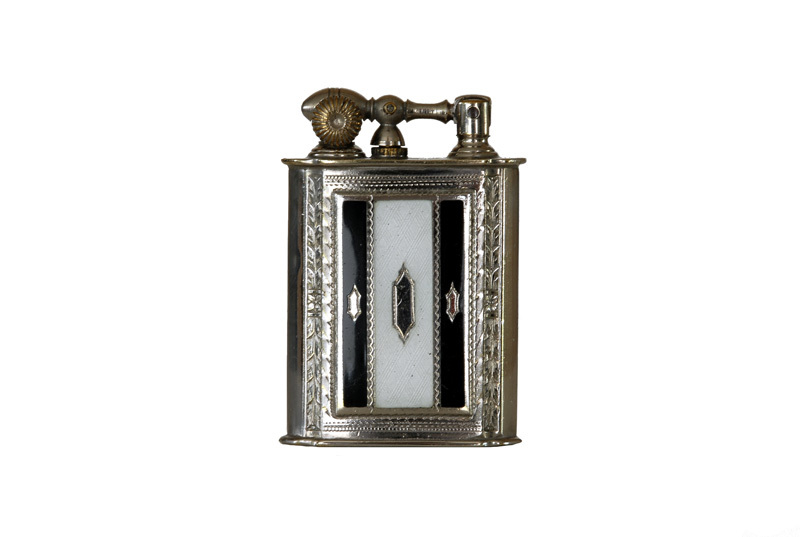 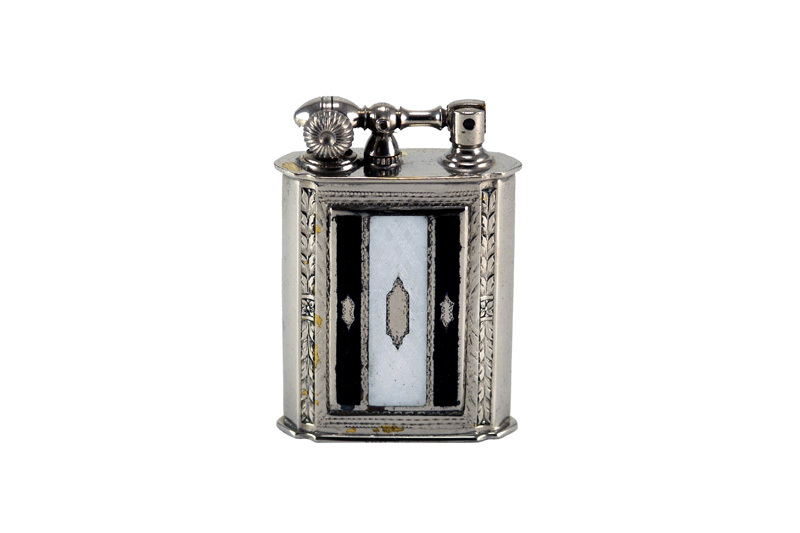 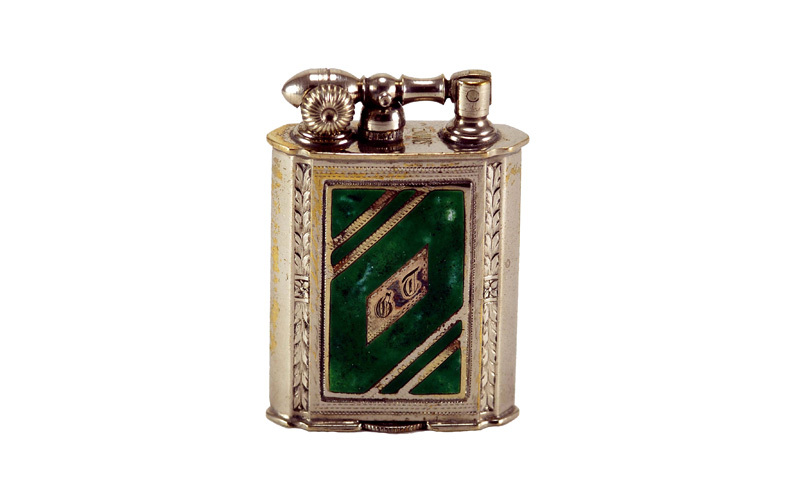 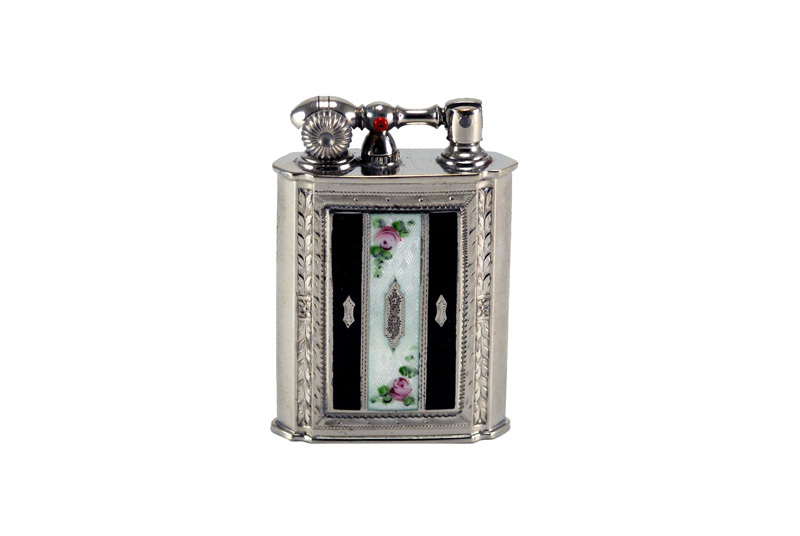 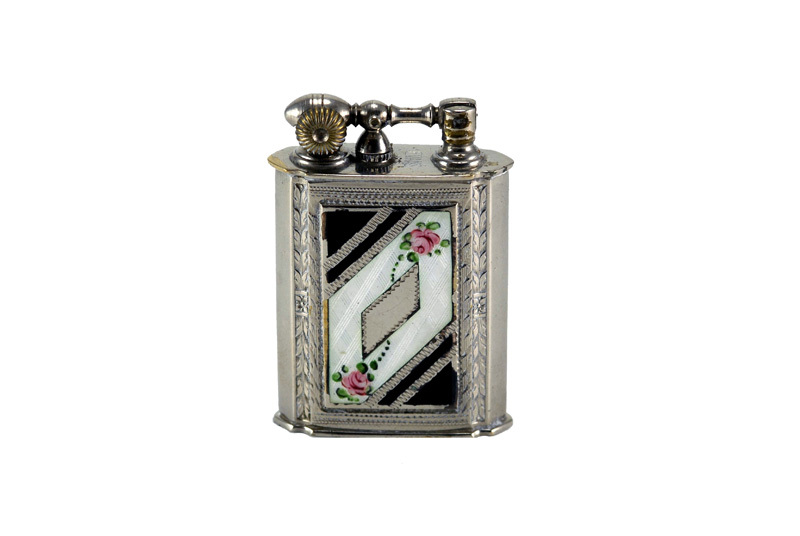 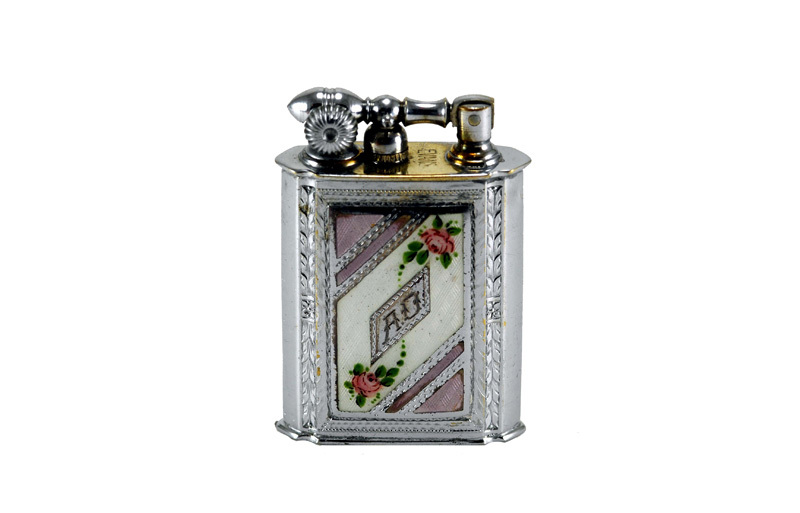 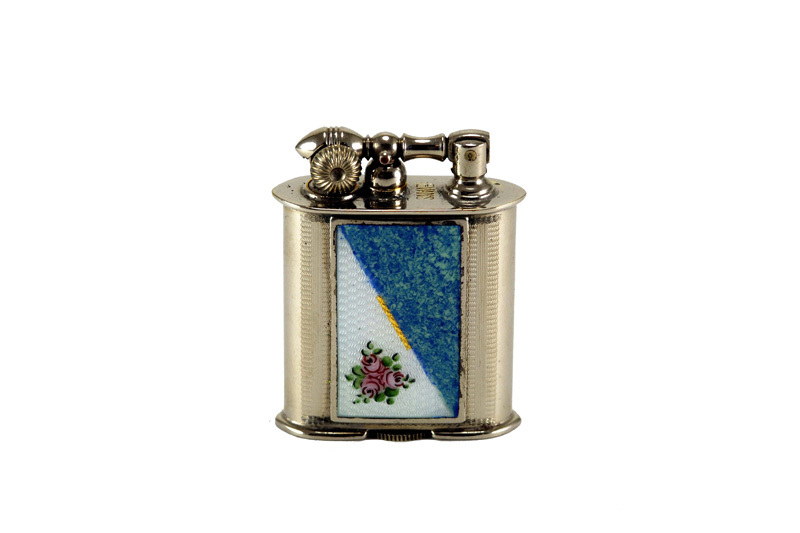 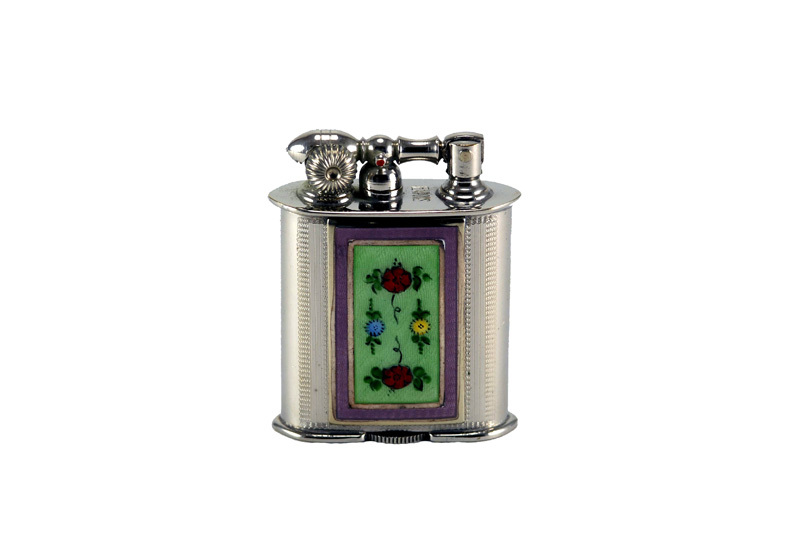 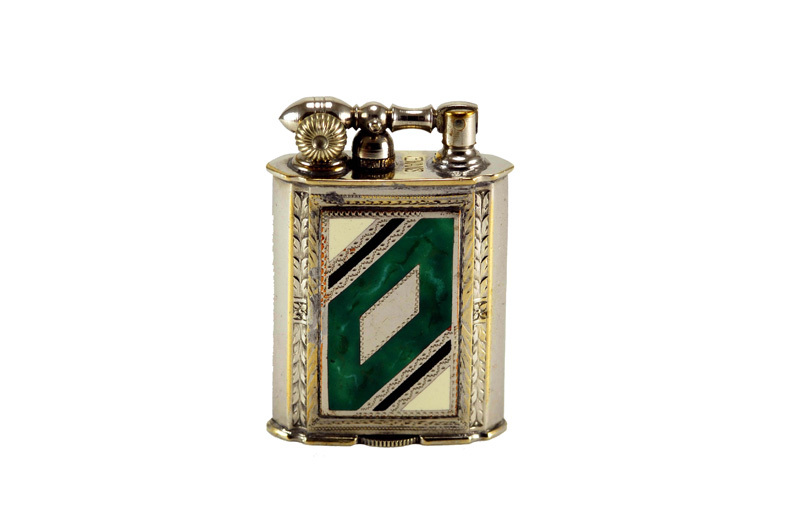 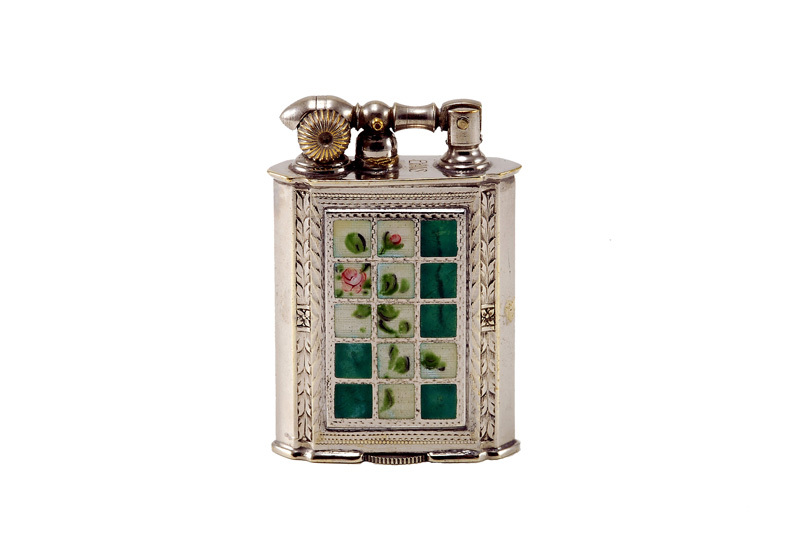 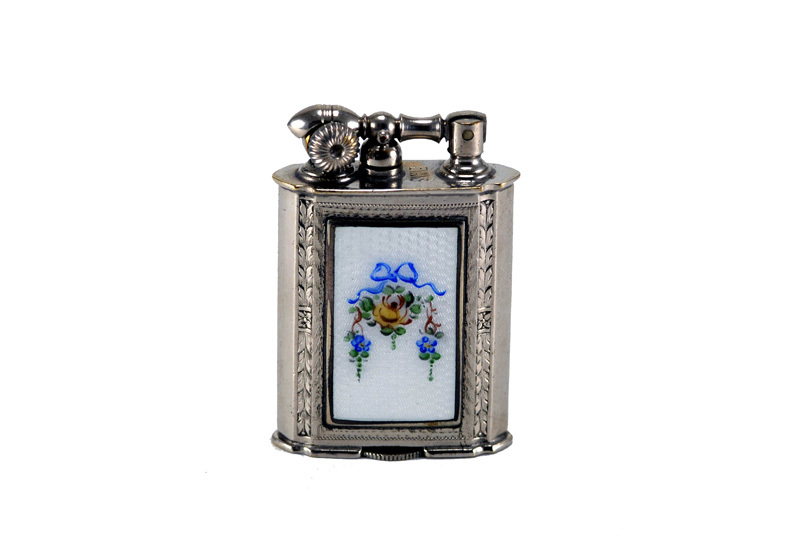 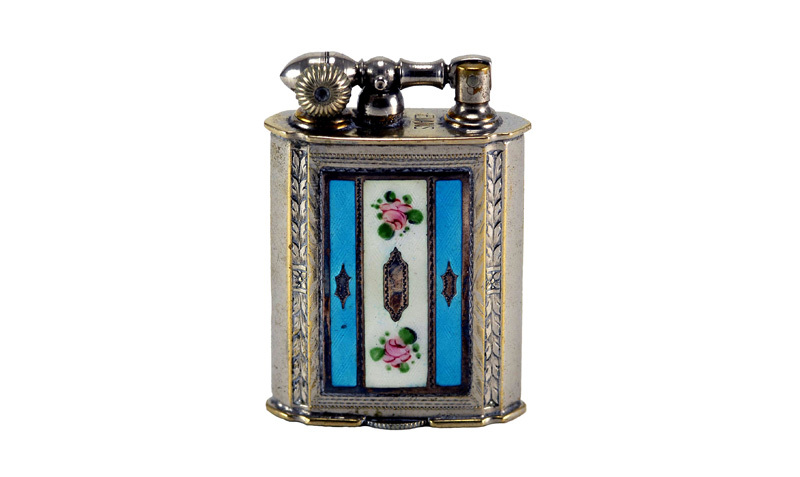 In my opinion, Evans Glass Enamel Lighters are some of the most intricate and beautiful lighters ever made in the United States. 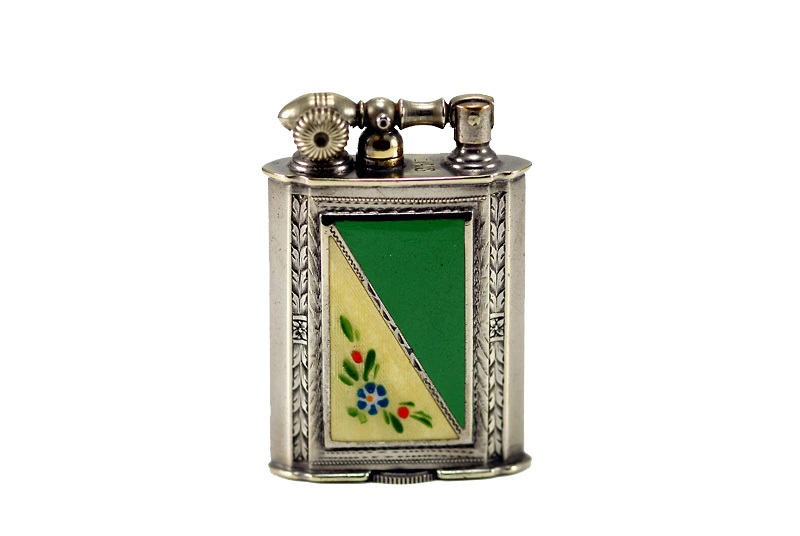 Early Evans glass enamel lighters in good condition are very hard to come by. 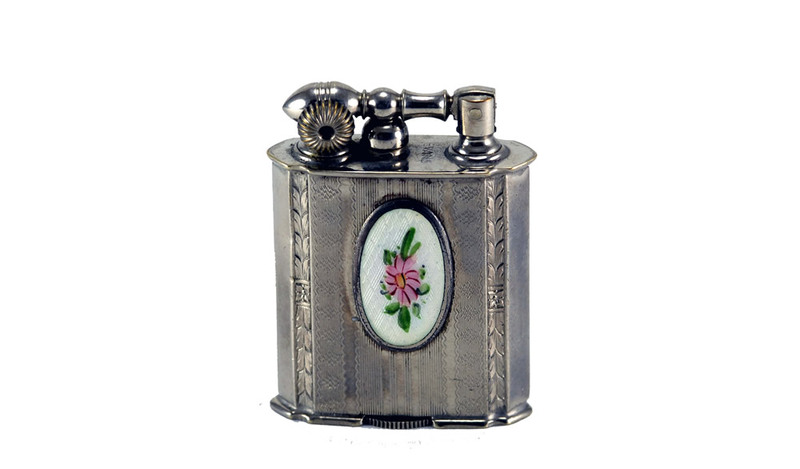 The Liftarm was their first lighter followed by the Automatic, Rollerbearing, Trig-A-Lite, Clipper, Banner, Supreme, Tube and Petite. 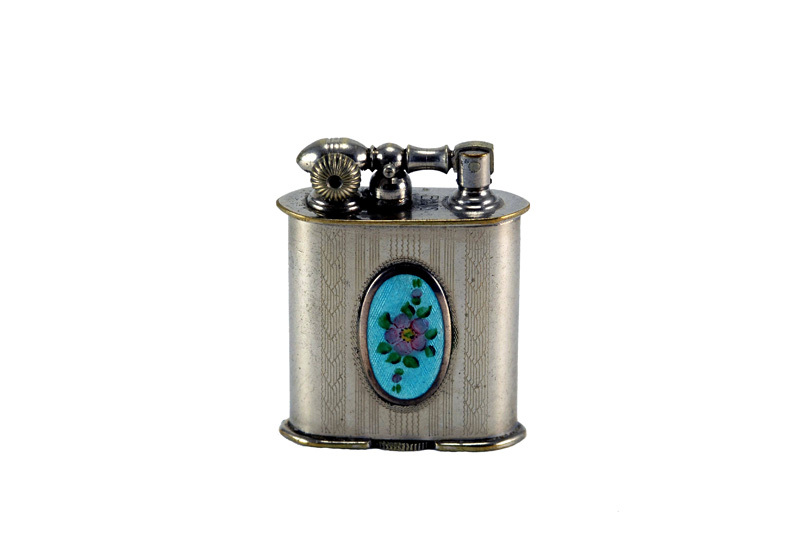 They made several other models but not with glass enameling. 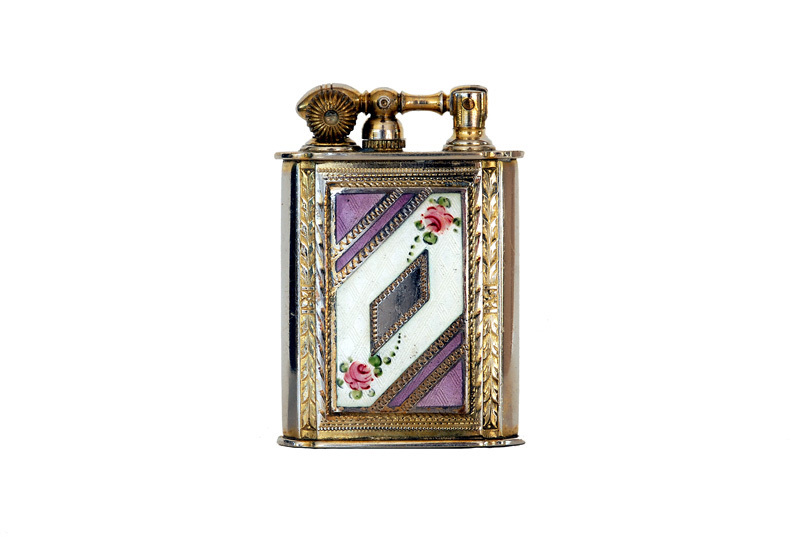 For more information on Evans Lighters see The Evans Book.